One of my favourite beef flavoured crisps flavours is Hula Hoops BBQ Beef flavour (quite a mouthful there!). So I was rather excited when Cinabar told me about this new Hula Hoops Puft Beef. These are wheat and potato rings, which are “light and crispy puffed hoops”. There is a good beef smell on opening the packet with a hint of wheat. The hoops are definitely light and are certainly crispy. On taste they have a strong beef flavour, but with the difference of not having any barbeque flavour present, and I of course was not expecting any. 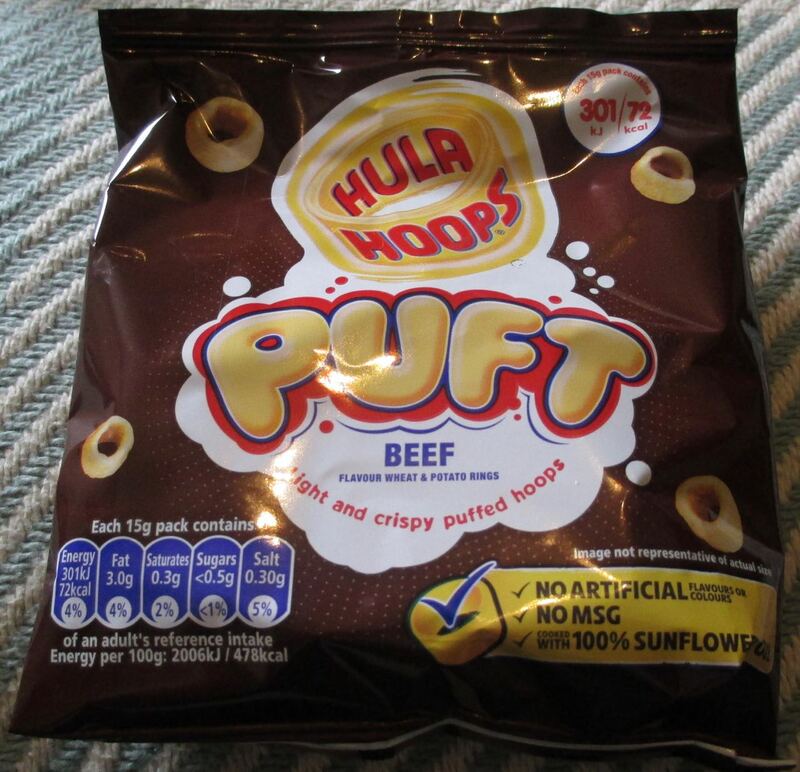 So don’t expect any either, these are beef flavoured Puft Hula Hoops. And they taste fantastic, just like the Barbeque Beef, but not the same. Completely different… apart from the beef!